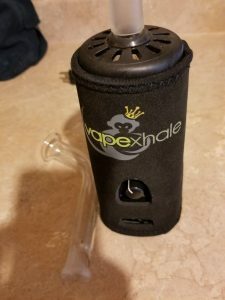 Use the Vapexhale coupon ALLGLASS to get 10% off of your order. If you're in the market for a new desktop vaporizer, the EVO (formerly known as the CLOUD EVO) is one that you should take a seriously look at. Whether you should get this unit or another one really comes down to two questions: are you clumsy and are you flat broke? If you answered yes to either of those questions, then you might want to consider a different device. And if you answered yes to both of those questions, you seriously need to rethink getting the EVO. The EVO™ is Vapexhales flagship device. In fact, it's their only device. It's the black base in the picture above. The Hydratubes are separate from the EVO and are actually optional. You can buy them bundled together, or you can buy the EVO with different attachments such as whips and dry mouthpieces (get the Hydratube). The other attachments are fine, but the Hydratube is really what sets this desktop vaporizer apart from all the others. That and it's all glass path which is the only of its kind. As you may know by now, the surface that your vapor will come into contact with greatly alters the quality of the vapor. If you've used a bunch of different kinds of rigs and devices you can tell each design alters the vapor or smoke. Things like the amount of surface area and the material play a major role. With vaping, you don't want the path to be too terribly long because the vapor will diffuse and loose a lot of it's flavor. You want the path to be just long enough to cool while keeping the herb's robust flavor. That's what the all glass path is all about. It isn't too long or short. It lives right there in the happy medium that allows the vapor to cool while staying flavorful and smooth. One thing to be aware of is the amount of water you put in the Hydratube. If you put too much water, you'll notice the flavor starting to get filtered out a bit too much. Just play around with the water level until you find your desired level. It's easy to adjust. This is not a cheap device, so the last thing you want to do is break it. Due to its all glass path, it is not the kind of vaporizer that can take drops. You can easily break the Hydratube or the glass tube that runs through the inside of the EVO. Neither of them are cheap to replace. If I remember correctly, it costs $75 to replace the tube on the inside, and you'll have to ship the whole EVO to them as well. A Hydra tube will cost you about $130 to replace. The good news is, you don't have to buy a Hydratube at all if you already have a water tool. The EVO utilizes a standard male connection which is 18mm. If you have a compatible water pipe, then you can just use that. 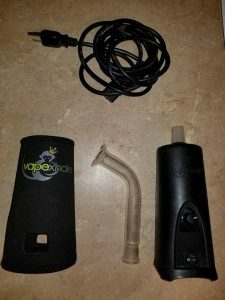 I recommend getting a Hydratube so you can get the intended vapor production, but if it's not in your budget then roll with what you have. It will work great with your water pipe but just know the design of yours will produce different vapor than the Hydratube. The EVO produces excellent vapor quality. There's no if's and's or but's about it. It's friggin' top notch. You can take big draws off this thing without coughing up a lung. The vapor is smooth and flavorful. It's very efficient as well. When you go to change the ELB (easy load bowl) you'll notice that it's not even that hot. You can change it a mere two seconds after taking a draw. Given the fact that the ELB is stainless steel, you'd expect it to be hot but it's not. It feels warm, but its not even close to hot. That means after you're finish taking your draw, it's not still vaping your bud. The absolute main con is also the main feature of the device, the glass. Due to the glass inner tube and glass Hydratube, this device can be broken quite easily if you drop it. If you don't drop it, it will last you for a very long time. The build quality is actually pretty excellent. But plenty of people get butterfingers when they're high, so the glass nature of the device could be a deal breaker for some. The next con, in my opinion, is the price. It's not cheap at all, although it's worth it if you don't break it. To get one of these with the Hydratube, it's going to cost you about $450. That's a nice little chunk of change. 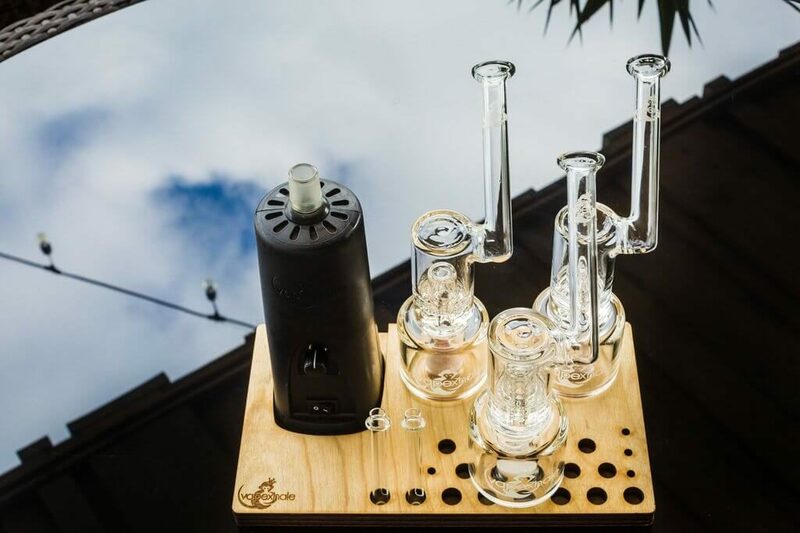 If you have your own water pipe, you can get the base unit for $320. The last con in my book is the temperature dial. Maybe I'm being picky, but it'd be nice to know what temperature I was setting the EVO at. You have a dial with numbers, but you won't know what temperature the numbers correspond to. That would be awesome to know. Without knowing, you just have to try different temps until you get a feel for what's what. The all glass path is a game changer for me. It gives off a totally different experience than other devices at the top tier price range. If you crank the temperature dial up, you get an intense vapor that's still smooth but powerful. The all glass path with a little watter in the Hydratube is one helluva combo. The only thing that's not glass is the stainless steel chamber. If you're using a concentrate, then you'll have to use the Vapexnail (all glass nail). With the nail, you'll get a 100% glass experience and it's fantastic. The versatility of the EVO is nice. You can use it upside down on your water pipe, sideways, or right side up. It is built well and can be used at any angle you need to use it at. Just be careful with it as you wouldn't want to drop it. On top of being omni-directional, it can also vape minute amounts of herb or concentrate. You don't have to pack a bunch in there at all. It's extremely efficient and can easily vape pinches of herb. As stated earlier, the build quality is darn good. The vapor quality is truly top notch. This is a top tier device in every sense of the word. 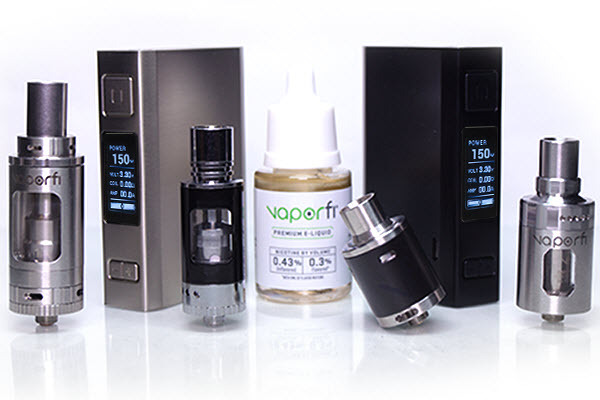 You will get smooth vapor and robust flavor off of this vaporizer. You can take huge draws or barely put any herb in just to get a light feel. It's versatile and the vapor is so pure. If you haven't gotten your hands on the EVO yet…you're in for quite the experience. The vapor quality is worth the price of admission alone. If you're interested in getting the EVO, click here to get it straight from the manufacturer.